I volunteer for a charity, The Citizen’s Foundation (TCF) in Pakistan. For the last twenty years, TCF has been on a mission to educate underprivileged children of Pakistan. They have changed the course of hundreds of thousands of families and their generations to come. TCF has built nearly 1500 schools in the most impoverished areas of Pakistan. They have consistently provided quality education to approximately 250,000 students (50% of them girls). 90% of the students who graduated from a TCF high school, also went to college. Over 70% of them have respectable jobs and are contributing members of the society. Despite all our woes, Pakistanis are socially conditioned to be charitable and hospitable. Giving is part of our traditions and culture. I too have donated to various causes in my life. TCF’s fascinating scale and execution, drew me not just to be generous and give my money, but to actively volunteer my time on its continued journey. 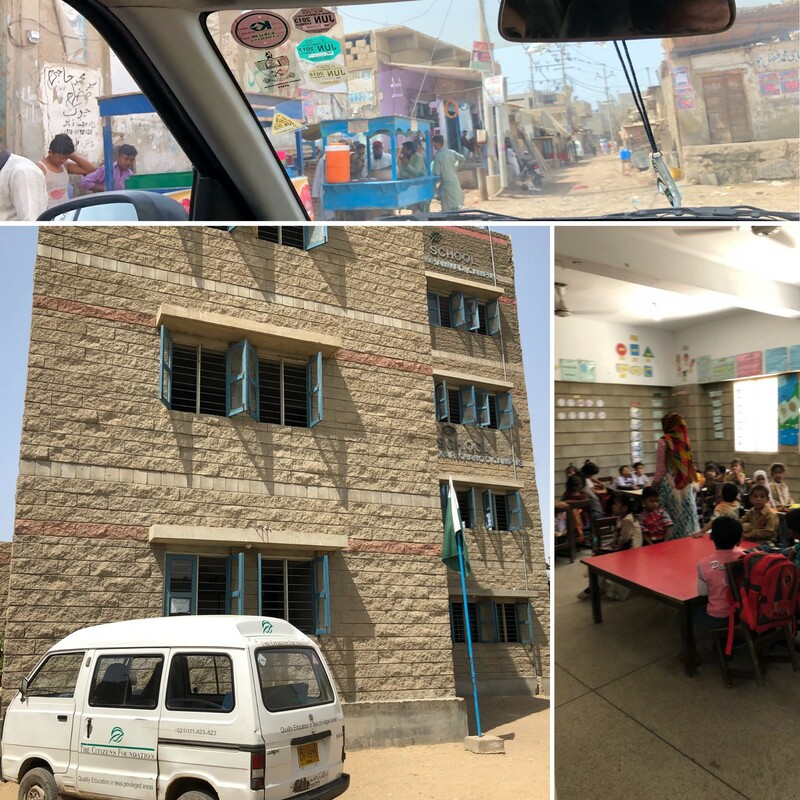 I recently visited a TCF school in Karachi, in a low-income neighborhood called Machhar (Fishermen’s) Colony. I have seen many poverty-stricken areas in Pakistan in my life. I know how to deal with the sadness that accompanies such visits and experiences. Nothing could have prepared me for the onslaught of emotions; when I met these students. I could not stop crying, and could not figure out why. I didn’t break eye contact with these kids! I realized that it has always been tough for me to make eye contact with the people I’ve helped. This nagging guilt that my contributions have not made any meaningful difference in their daily struggles. It never feels I’m doing enough. I’ve always been painfully aware that my help may be a temporary relief and never a cure for their problems. In that school, at that moment, I was making eye contact with every one of those children. Suddenly, I was a part of something much more significant. I could see that my contributions, however small or large, are making an impact; changing lives. TCF is not a charity; it’s a movement; it’s a purpose, it’s an inspiration! Educating these children makes a tremendous difference. It changes the course of generations. The offshoots of this movement have already transpired. These students have become doctors and teachers and engineers and scientists and accountants and entrepreneurs and humanitarians and so much more. And, you are going to change the world!